Passport Acceptance Agent – What are an Acceptance Agent? When it comes to traveling to any international destination you will need to have a valid United States passport at the time of travel. If your passport is expired, you will need to fill out the DS-82 Application Form for Passport Renewals. Then, take the application to your nearest acceptance agent for the agent to witness your signature on your passport application. The Passport Acceptance Agent is an official government agent who will witness the signature of your passport application. Passport Guru Tips: Always call to make an appointment beforehand. You may need to have confirmed travel plans within 5 days in order to get an appointment. Once you sign your signature for your passport documents, the documents now go in an envelope. You can not to open the envelope until you are at one of the regional passport agencies or submitting to your nearest passport offices. Why is an Acceptance Agent Needed? An acceptance agent is important to the passport application process because it helps the State Department review each application before a U.S. Passport gets approval. Acceptance Agents are throughout the United States of America. They are usually in post offices, courthouses, and other state department buildings. U.S. Passport Help Guide has developed an entire catalog of all passport offices around the United States. You can find our database with all passport offices here. It is very important when going to your acceptance agent that you carry the correct documentations needed by the agent. This varies with each passport application as each passport application would have different requirements. proof of identity and proof of U.S. citizenship. If you need an emergency passport you will have to first visit your nearest acceptant agent and have the agent-witness your signature then go to your nearest regional passport agency who will be able to process your passport same day onsite. 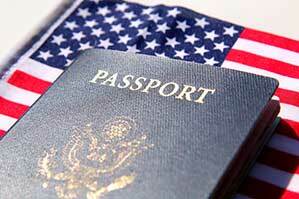 If you cannot visit your nearest passport agency you could hire the help of a private passport expediting company. U.S. Passport Help Guide recommends Fastport Passport as they are reliable and would be able to get your passport on time for your trip. I’m trying to make an appointment at the Mt Kisco Post Office for passport renewals and photos for my two children. I called the post office and they said to make the appointment online. I cannot find how to make an online appointment…where is it on the website? There are dozens of links to other services….please help! yes that is fine as your passport was issued before the new law took place. I have a passport from for another 5yrs. I wear glasses and the picture shows me with glasses, I read that glasses are no longer accepted on the passport picture? I am still ok to travel ? U.S. Passport Help Guide Thank you for responding. I’m renewing. A little late. I forgot my passport expired July 14th. I did dl and print out the DS 82 form. I now need to get my picture and check/money order, correct? Hello, DS 82 renewal applicaitons are done via mail. You do not need to appear in person. Are you applying for a new passport or renewal? when do I pay the acceptance agent fee if I am mailing the old passport and renewal form in..? Is an acceptance agent needed for a name change on a valid (current) US passport, or can I just mail the required documents in directly and only pay the state department fee? My passport is slightly damaged. Will it be accepted for renewal or should I apply for a brand new passport? When renewing by mail, do you have to go to the post office and sign in front of the acceptance agent? The La Verne CA Post office number for passports that is listed on this site is disconnected. How do I get an appointment there? Can’t rely on the Post Office in Mililani, Hi. they won’t answer their phone so it’s a little hard making an appt. what type of payment do they take for passport ???? how can i get rush passport?? ?just for 1week??? You will need to call the US Department of state directly. I sent my application in over 2 weeks ago and still have no passport in the mail. My sister who i applied with, already got hers a week ago. how can I check on my passport?